There is something about Honey. No, not me, honey – honey. Like Honey, as in Honey Bee. Honey is one of the most powerful food on the planet. Besides the fact that it has a shelf life of almost forever, Honey is proven to have a vast list of health benefits for the whole body. It’s literally liquid gold. A sweet, golden fluid from beehives loaded with antibacterial and antifungal properties that when kept in its raw state, can be stored for centuries and still be edible. Honey contains hidden nutritional and medicinal value used for thousands of years, and can be traced back to Ancient Egyptians. 1. Helps with Allergies: Aid in reducing allergy symptoms because of its anti-inflammatory properties. 2. Natural Energy Booster: Honey has high-carbohydrate load without the processed sugar. Honey’s natural sugars also prevent fatigue during exercise. 3. Cold Relief: Soothes sore throat and is a natural cough suppressant. 4. Memory Booster: Honey helps the brain absorb calcium, helping to enhance memory and prevent cognitive decline and dementia. 5. Anti-Cancer: Studies show that honey possesses carcinogen-preventing and anti-tumour properties. 6. Wounds and Burns: A natural remedy containing antibacterial properties prevent infection and functions as an anti-inflammatory agent, reducing swelling and pain, and even scarring. 7. Skin & Beauty Must-Have: Honey helps prevent acne, deep-clean pores, decrease wrinkle and fine lines and increase cell renewal. Isn’t Honey just undeniably remarkable?!! Sweet and powerful there is no denying it. Garnier “Honey Treasures” Whole Blends Repairing Shampoo- A delicious fragrance of royal jelly, honey, and propolis extracts strengthens hair and helps prevent split ends and breakage. Touch in Sol “Feel Like Honey Moon” Skin Base- A honey and collagen-based rejuvenating skin primer that supports smoother skin for flawless makeup application. The Body Shop “Honeymania” Hand Cream- Helps soften and protect hands with light, juicy moisture. Laura Mercier “Crème Brûlée Honey Bath” – A foaming, honey-scented moisture bath. Farmacy “Honey Potion” Antioxidant Hydrating Mask – This super hydrating mask with natural honey sugars is rich in amino acids and essential B vitamins. Burt’s Bees “Honey” Moisturizing Lip Balm – This natural balm helps nourish your dry lips with a touch of golden Honey and Vitamin E, leaving them soft, supple and super happy. Josie Maran “Divine Drip Honey Butter Balm”– This indulgent body balm combines two ancient holistic ingredients—Honey and 100% Pure Argan Oil. Freeman Beauty Infusion “Manuka Honey” Hydrating Cream Mask – Manuka Honey softens while skin-plumping Collagen helps to improve elasticity and restore smoothness. Marc Jacobs “Honey” Fragrance- A sunny, delicious floral—energetic and alluring, with a sparkling, golden touch. The perfect mix of brightness and warmth. See a my previous post introducing this fragrance back in 2013. After my post “Locks of Youth- Secret to Luscious Hair” I have had numerous inquiries on what hair products I use on a daily basis. Nothing fancy, really. Just Head & Shoulders (2-in-1 Shampoo and Conditioner), and Herbal Essence (Volumizing Conditioner). Here’s a secret for ya: Using the right shampoo and conditioner alone does not give us the luxurious locks we crave. Our diet plays an important factor, as a memorable saying goes, “You are what you eat,”… the health of your hair depends a lot on the food you consume. Just like the rest of your body, your hair needs balanced doses of protein, vitamins, minerals, and oils to grow. Here are ten Superfoods for Superfabhair. 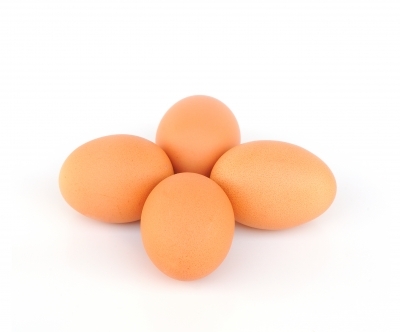 Eggs are one of the best protein sources you can find. They contain lots of biotin (which helps strengthen hair and nails) and vitamins B5, B12, and D. In addition eggs also contains sulfur, a tress-boosting mineral. 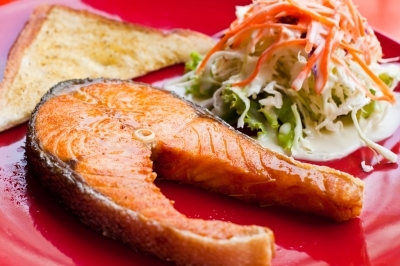 Salmon is filled with protein, iron and omega-3 fatty acids, a high-quality protein source that is loaded with Vitamin B-6 and B-12, which produces red blood cells to carry oxygen to follicles. A deficiency in omega-3 fatty acids can result to a dry scalp and dull hair. 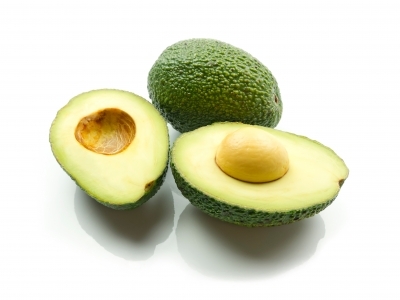 Avocados contain lots essential fats and are a great source of biotin, which is key to growing healthy hair. Biotin helps hair grow thicker, stronger, and longer. You can even apply avocado directly on to your hair as a hair mask, adding body and shine to your hair. 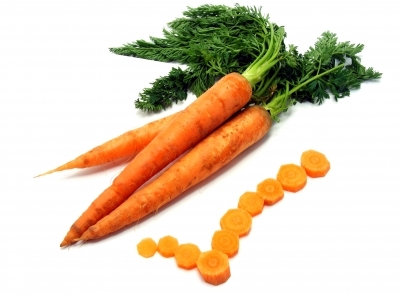 Carrots are an excellent source of Vitamin A, which aid in having healthy scalp and shiny hair, and not to mention good vision 😉 If shiny, well-conditioned hair is what you want, you need to have a healthy scalp, so keep munching on those carrots. Olive oil contains essential Vitamin E. In addition, the polyphenols in olive oil help control inflammation which can damage hair follicles as we get older. Like avocado, you can also apply olive oil directly on your hair, especially in winter or on humid days. 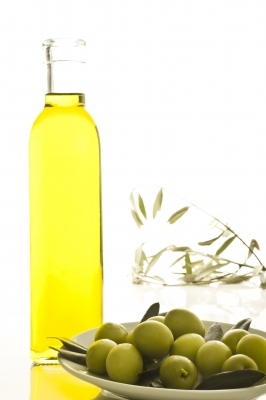 Combing on a tablespoon of olive oil can tame frizzy hair and help moisturize your mane. 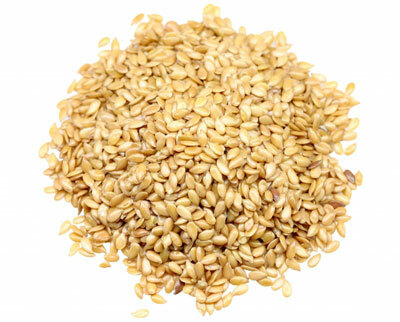 Flaxseeds are rich in omega-3 fatty acids. They also contain lignans- plant-derived chemicals that act as antioxidants. Flaxseed help prevent hair loss and boost hair strength. 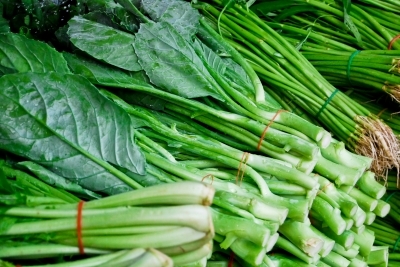 Dark green vegetables like spinach and broccoli provides iron and calcium, as well as Vitamins A and C. Your body uses these minerals and vitamins to produce sebum, an oily secretion from your hair follicles, which naturally conditions your hair and promotes hair growth. Walnuts provide zinc and fatty acids. 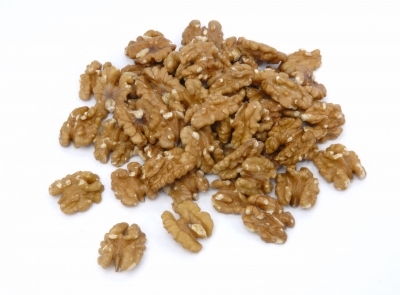 Walnuts have alpha-linolenic acid, an omega 3 fatty acid that help condition and moisturize your hair. Beans are another example super food for healthy hair. 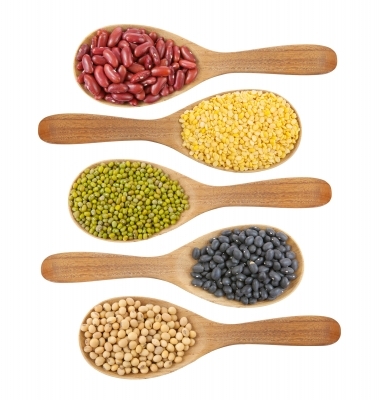 Beans provide good amounts of protein for hair growth, as well as iron, zinc and biotin. A deficiency in biotin can result in dry, brittle hair. 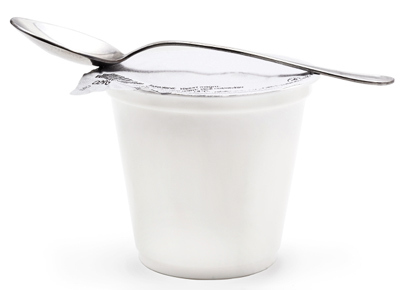 Yogurt contain calcium, a mineral that is vital in the role of hair growth. It contains whey and casein, both excellent high quality protein sources necessary for a healthy scalp and hair. For better results, opt for unsweetened Greek yogurt instead of the sweet,colorful yogurts.